As you may know, my dad died this year after suffering dementia, nerve damage and other complications arising from diabetes. 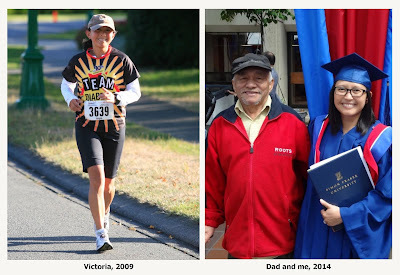 In his memory, I've decided to re-join Team Diabetes, fundraising for the Canadian Diabetes Association, and run the BMO Vancouver Marathon this May. Funds raised through Team Diabetes will be used for much-needed research, education, programs and advocacy on behalf of those living with diabetes across Canada. My dad would have been 79 years old this January. Please show your support for my campaign and help me honour his memory by making an online donation through my personal page. Any amount you can contribute is greatly appreciated.